I hadn’t knitted a sweater before because I love the instant gratification that comes in knitting hats, gloves, or scarves. Also, I was a little bit put-off by needing to sew on sleeves, or to deal with button holes and so on. Well, I found this pattern for the Immie Tee by Madder, and I fell in love with it. How could I not make this sweet little shirt for my little one! It has a beautiful lace panel up the front, and the short sleeves make it versatile, which is important with fickle high-desert weather. 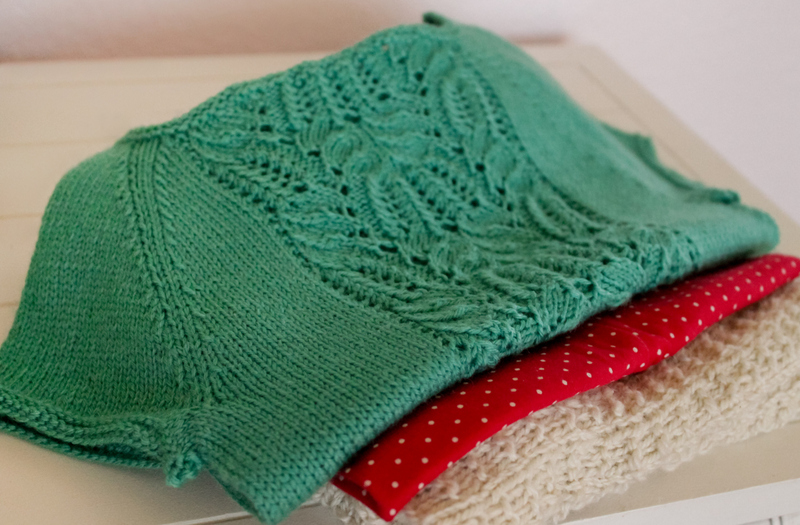 The great things about this pattern is that it was a super-quick knit, being finished in a few short days, and I didn’t have to sew on the sleeves or deal with the fussiness of attaching buttons and knitting a half-dozen button holes. It came together so fast and with such ease that I hope to make many, many more. 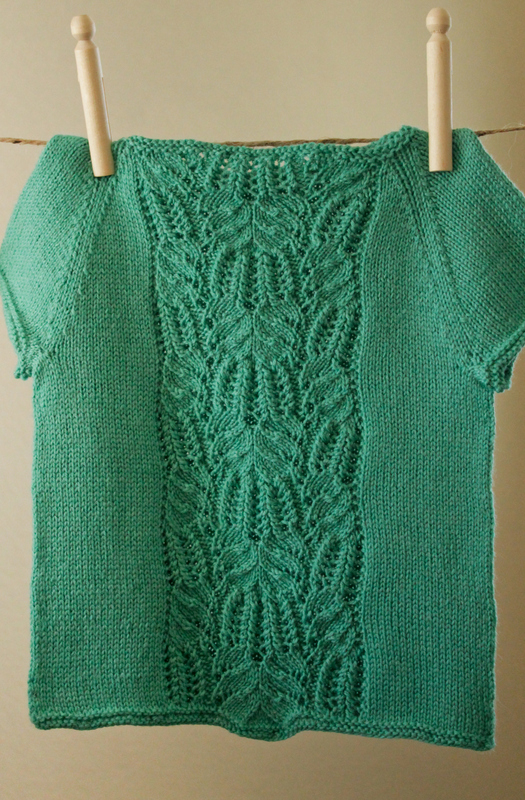 Of course, I couldn’t do as the pattern called for exactly… I did lengthen the mid section, since we are a tall family, and our kids’ shirts usually end up being cropped tops. I didn’t have the yarn on hand that the pattern called for, but I did have a lot of Knit Pick’s Gloss on hand and it was close to the same gauging on the packaging. So, I just used a size 4 circular, and it worked our perfectly. 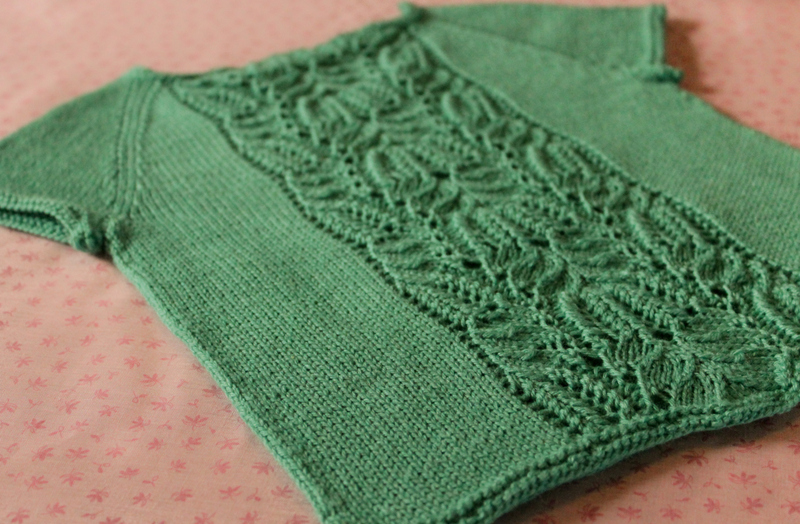 I also used Elizabeth Zimmerman’s Stretchy Bind Off for the neck, and it shows the lace panel detail at the top as well. I love it. It’s ready for Avery to wear it the Autumn!